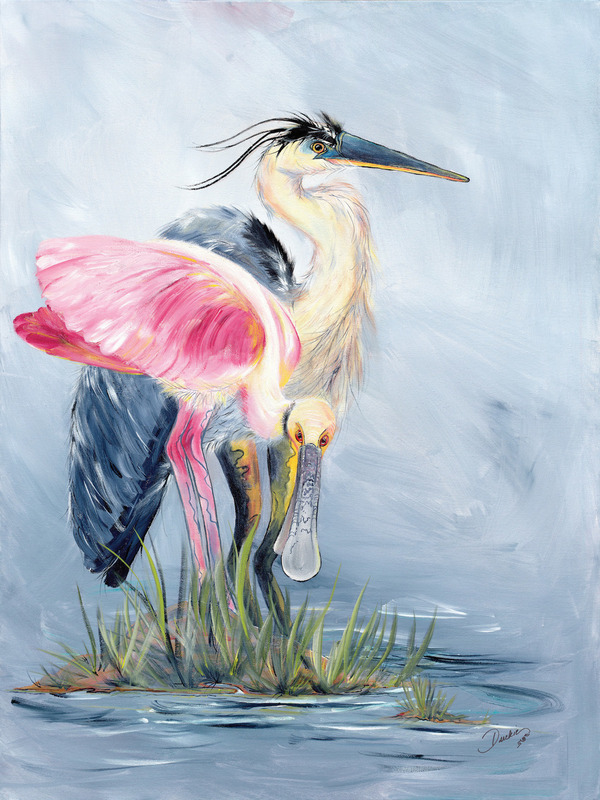 Duckie ( Cherie Nowlin McBride) is well-known for her gorgeous paintings of wild birds. 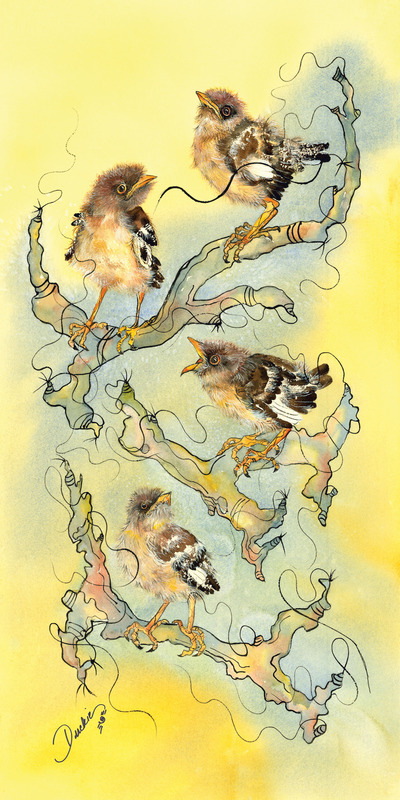 ("Seeing yourself in birds!" is her theme.) Now you have an opportunity to own a "Duckie" giclée - a long-lasting stunning fine art reproduction. We recommend the gallery wrap canvas giclee ... light weight, doesn't require a frame and can be on your wall quickly and easily right out of the box. 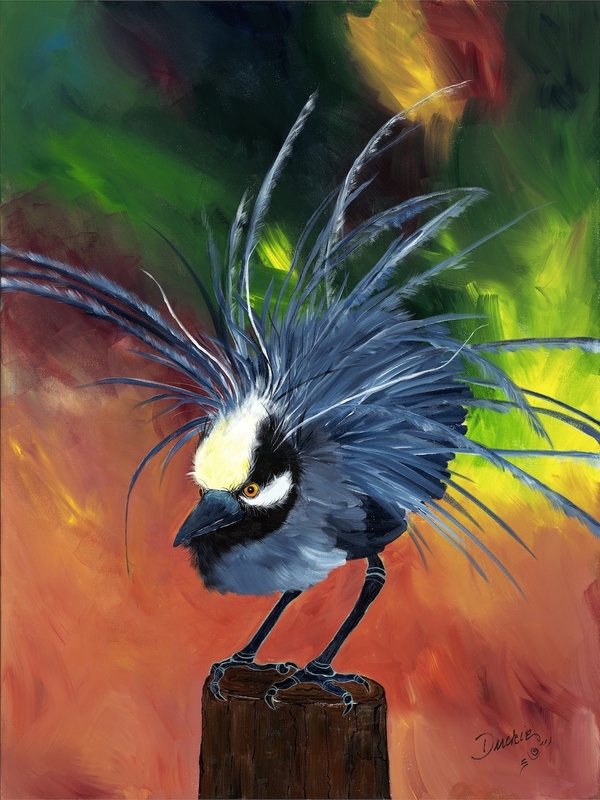 DECORATE WITH AN EXCITING WILD BIRD CANVAS - Imagine the feeling of seeing a wild bird canvas giclée by Duckie on your wall! Your visitors will get excited too. The eyes, the feathers, the posture, the natural beauty!! We now ship these stunning canvases from our Fine Art America site directly to your home (or to your friend.) Your satisfaction guaranteed. Fine Art America has a great reputation for perfect printing and delivery. 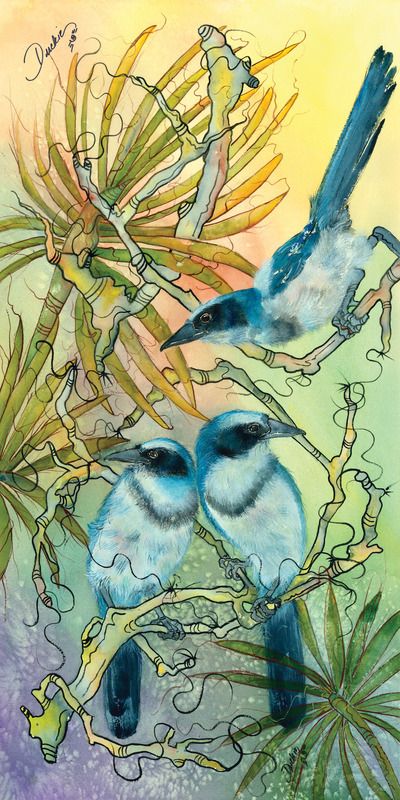 JUST FOR THE BIRDS - A substantial portion of your purchase (of any gallery wrap canvas) will go to funding wild bird habitat and conservation. 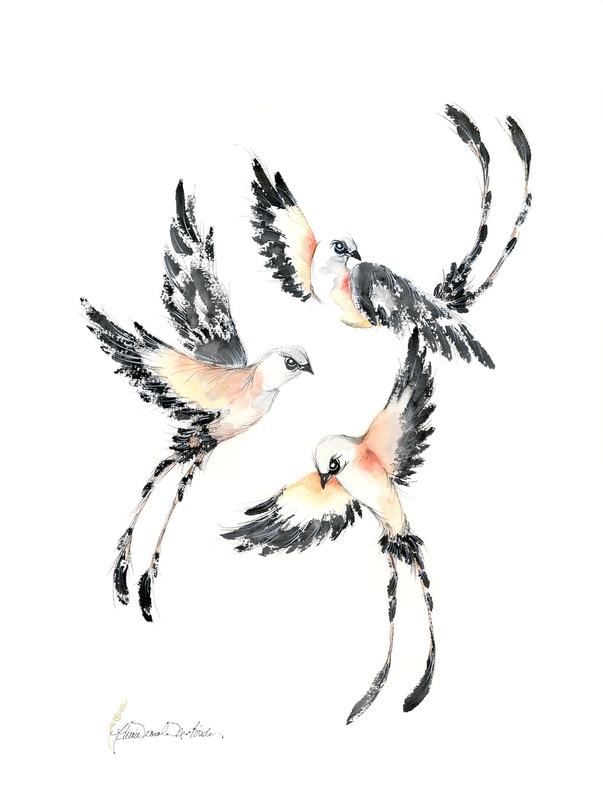 To shop for giclées, click on the Fine Art America site. Call us about any questions you have .... 979 236-8153. Remember, we can supply almost any reproduction by Duckie in a great range of sizes.